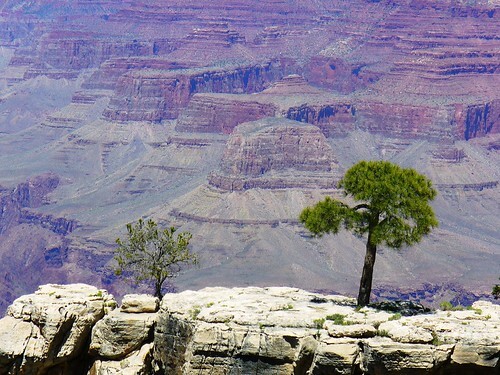 This week’s walk includes a brief look over the rim of the Grand Canyon in Arizona. Have you been there? What a magnificent sight. Just watch out for the attack squirrels! What places are on your travel “wish list”? In the U.S., I still need to see Yosemite and Glacier National Parks. I want to ride the train through the Canadian Rockies. Those are tops on my list for North American travel. Someday… Next week, we’ll talk about the rest of the world! My Crusader knights might be in London at some point. I can’t have them wandering through the Queen’s Chapel when it didn’t exist in the 1190s! I’ve bookmarked this site that has a bit of history of the Palace with a great link to a site that includes an animated video and floor plans showing the various additions over the centuries. Way cool. I tend to use my own pictures on my blog and hadn’t considered a few of the points made by Marcy. Good reading, and something everyone – not just writers – should know. Happy reading! Now back to the 12th century. I think you’re okay cross-posting if that’s not all you do. If you had a lot of avid followers (like Nathan), where many follow you on both Facebook and Twitter, then it’s worth figuring out different uses for the two social media. And Roger that on Raji Singh’s book — it’s a winner! FYI… I manually loaded this post as my FB status today rather than have it auto-pushed through WordPress’ FB connect. Is it a coincidence that I had more referrers from FB than I think I’ve ever had? I’ll be repeating this with future posts. And yeah, I agree with you about using social media differently if you have a fanbase following you in multiple places.